Marvelous Multiagers! 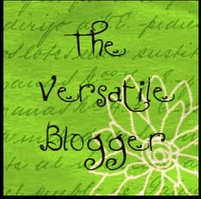 : Versatiles and Versatile Bloggers! I figured those two things go together, right? First, over the summer I won a set of ten mini VersaTiles cases from ETA/Cuisenaire because I liked their facebook page. If you don't like them on facebook, you should go do it now! They have lots of giveaways and offer many free resources. They asked the winners of the giveaway to post pictures of their students using the VersaTiles once school started. I just remembered the other day to take pictures, and I posted one today so I thought I'd share it with you too! Anyway, my second order of business here is the Versatile Blogger Award!! I received this award from three lovely ladies! and........ Nicole from The Kinder Kid! In a week, I will start my second class of six to earn my ESL Endorsement! This class will be my methods and materials class, and I am SO EXCITED!!! Methods classes were always my absolute favorite in college. I'm really happy I decided to work towards my ESL endorsement because I am incredibly passionate about working with English Language Learners and ensuring that they get equal treatment in school and elsewhere. Equality and acceptance is super important to me. At my school, teachers can eat hot lunch for free and we can have free milks too! Since my class gets a morning milk break, I typically drink two chocolate milk cartons a day!! If I'm having a rough day, that chocolate milk is always there for me. So delicious! When I am old, I will probably have the strongest bones ever. I am not well-traveled. I have been to Florida for family vacations when I was little, and I've been to the San Diego area for family weddings in recent years, but there are many places that I want to go! Specifically, I want to go to San Francisco and Washington D.C. Also I am obsessed with southern California so I would like to go there again!! Dead animals really creep me out. I know they can't come back to life and get me...... but I am still scared of that happening. If I am walking my dog and we see a dead squirrel, I run away. I love my Snuggie! I joke a lot that I am going to bring my Snuggie to school with me when the weather gets colder, because the word on the street is that my room is the coldest in the building. I am probably the coldest person in the building on any given day, so this is not a good combination. I have two cousins who I love like sisters! They are my BCFs (Best Cousin Friends). One of them is going to the University of Illinois right now to be a teacher! 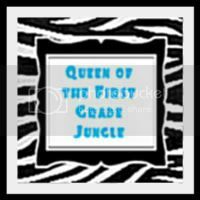 When she has a classroom and starts a blog, she will be popular fast because she is very creative and artistic!! I love using exclamation points!! In college, I got points taken off on several projects because I overused exclamation points. I can't help it, I'm just excited a lot! Mrs. Williamson has THE CUTEST IDEAS!! She makes me want to teach Kindergarten. Mrs. King also has cute ideas, especially her new adaptation of The Techy Teacher's cloud viewer! And first grade is a challenge for me right now, so she is a good help!! Hope is also amazing, and she teaches second grade, so that's the other half of my kids!! Ms. Alley teaches in CPS - my dream! I love to see what she can do with the limits on her as a CPS teacher. OMG! I have a few sets of these in my cupboard in class! I had NO idea what they were or what to do with them. Any tips on how to use them would be gratefully received! Thanks Jill!!! You are awesome too! Seriously-how do you keep up with blogging while also teaching 2 grades for the first time?! I am finding it so hard to keep up with blogging lately. I didn't know you were in Illinois! I always assume other bloggers are so far away. I'm actually from Chicago, but have been living in St. Louis the last few years. Trust me- I really have no idea what I'm doing when it comes to math work stations-totally trial and error with my kiddos this year! 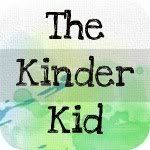 But-luckily all the other awesome kindergarten blogs out there have been posting amazing math station ideas to save me! You gotta just jump right in and try it out!